Provide outstanding customer service at a resaonable cost to ensure our customers have all their electrical conveniences during a power outage, storm or disaster. To be the One Company that satisfies the electrical power needs of our customers with great products, service and price. We power you world when your world powers down! Emergency generator power solutions for the Gulf Coast region of the Florida panhandle area and surrounding counties in Alabama and Mississippi. ESSI offers Generac sales and full service repairs and maintenence plans on our generator systems, as well as all brands of standby, industrial, and residential generators. Scheduled Maintenance programs and repairs are made by Industrial Generac Factory Certified Technicians. We make your world more reliable when emergency power is needed. 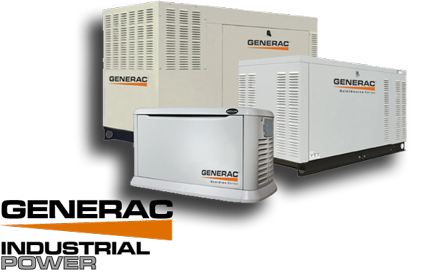 We sell Generac Industrial Standby Generators for home and business, from 8KW to 1000KW, L.P. Gas, Natural Gas and Diesel. Emergencies can be expected and sometimes even predicted. Power generators are a necessity for businesses and a valuable convenience for home owners. Preparation for disasters is essential for survival on the Gulf Coast. Disaster preparedness should include Scheduled Maintenance Plans and repairs. ESSI is an authorized dealer and service provider, by trained Industrial Generac Factory Certified Technicians.